WHO MADE OLU MAINTAIN KING? Sunday Adegeye, King Sunny Ade, KSA was born September 22 1946. He is a popular performer in Nigeria with the largest number of international laurels. A Juju musician of repute who was concertedly crowned as King of world beat in the 80s by eminent sons and daughters of Nigerian as a Jùjú music originator is over 60 years of age but still very active and prominent in the music industry. King Sunny Adé and His African Beats became an international musical group across Africa during the mid 80s, touring and gaining a significant audience in the United States and Europe as well. One of his many albums, Odu in the 90s, a collection of traditional Yoruba songs, was nominated for Grammy Awards. He's truly a king, by all standards. Also King Wasiu Ayinde a.k.a. K1 De Ultimate is another international artiste who is respected home and abroad. He has performed in so many shows home and abroad to the bewilderment of all and sundry and has well-established his classical Fuji into the minds of his fans. He was made a king due to his artistic ability and dedication to what he knows how to do best-Music He's the king of Fuji Music. Coming to the Hip/Hop terrain, 2Face Idibia, the handsome dude who first won, for Nigeria, the MTV Base Award and other international awards to his credit, simply referred to as Tuface and not a King. For his unalloyed talents and creative ability, it would not be totally wrong if father of many children, 2Face is called King of Hip Hop but he's very humble despite all the accolades and respects he gets on a daily basis. But for Olumide Adegbulu popularly referred as Mr. Olu Maintain, it's a different story entirely. The reason is that, during his reign in the Maintain Group a couple of years ago, he was like a dumb singer, though, the likes of Big Bamo and Tolu, his singing partner, were always helping out making sure things work out as a trio until the cookies crumbled. 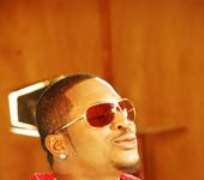 Last year, Olu Maintain, after his two efforts as a solo artiste went sour, dazzled the music lovers with his Yahoozee album. The album, which is miles away from correcting the ills in the society was widely accepted even by President Yar'dua who warmly received a copy of the album during the victory party organized in honour of the under 17's Flying Eaglets in Abuja. Hardly had the album become a huge success that Olu Maintain who almost turned a beggar but for the album which turned around his dwindling fortune, became so proud and arrogant to the extent that he's telling anyone who cares to listen that he's the King of Hip-Hop. King of what? Maybe King of Jungle or King of area boys. But, if what the self-acclaimed 'King of Hip/Hop', Olu is telling the sycophants that surround him like bees due to balls of Eba they always get in his house is anything to be considered then the music industry is still at the crawling stage. Who made Olu Maintain King? Kudos to the likes of Keke Ogungbe, Dayo Adeneye, Dr. Raymond Dokpesi, Idris Abdukareem and a hosts of other people whose superfluities have given the hip hop genre of the entertainment industry a face in Nigeria.